More than half of transaction survey respondents reported lower retail cap rates. Members of the CCIM Institute, Commercial Real Estate’s Global Standard for Professional Achievement, indicated growing interest in retail investment properties, according to the organization’s 2Q15 Quarterly Market Trends report. Approximately 55 percent of CCIM members who participated in a May 2015 market intelligence survey reported lower capitalization rates on retail transactions than during the same period last year. 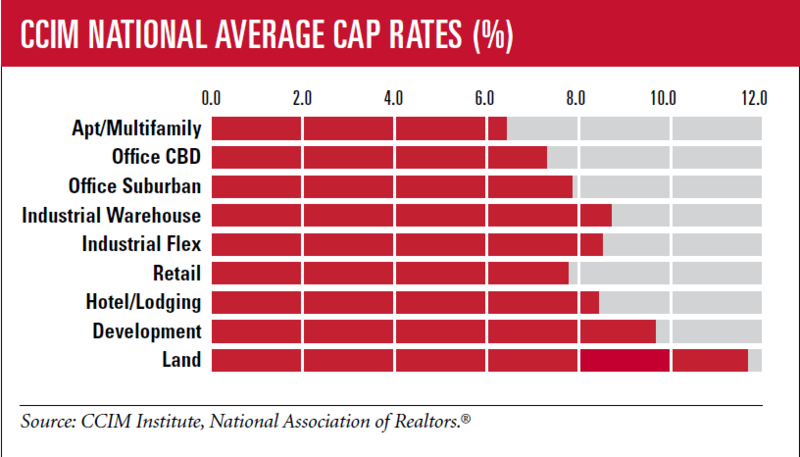 The average national retail cap rate as reported by CCIM member respondents was 7.8 percent, substantially lower than the average national cap rate for all CCIM transactions of 8.5 percent. Retail transactions increased for 55 percent of CCIMs surveyed, with a 94 percent closing rate. CCIM member respondents reported higher sales transaction activity across all major property sectors, with 98 percent closing industrial property deals, followed 95 percent closing office deals, and 94 percent for retail and multifamily closings. Ninety-one percent of CCIM member respondents closed office leases, followed by 90 percent closing retail leases; 86 percent, industrial; and 59 percent, multifamily. Despite reporting a lower percentage of multifamily deal closings compared with other property sectors, CCIM members still gave multifamily the highest investment conditions rating among the five major property types. On a scale of 1 to 5 (with 1 being lowest and 5 being highest), multifamily investments ranked 4.10, followed by industrial (3.6), retail (3.5), hospitality (3.4) and office (3.0) respectively. Expectations of interest rate increases abated, with 47 percent of CCIM members expecting Treasury yields to remain the same. In addition, 36 percent of CCIM members reported meaningful improvement in credit availability compared with last year. CCIM members indicated credit becoming more readily accessible over time for the four main property sectors. Download the 2Q15 Quarterly Market Trends report.